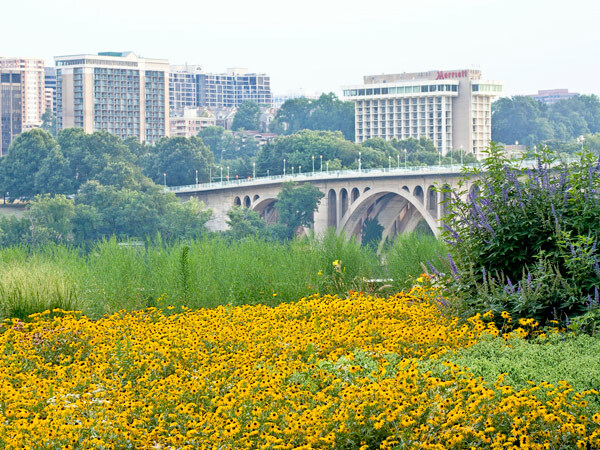 The 10,000-square-foot roof garden visible from the windows of this nine-story, 72-unit condominium building forms the foreground of a view towards the Key Bridge, the Potomac River, and the skyline of Rosslyn, Virginia. The building, completed in 2004, occupies a thin strip of formerly industrial land wedged between the Potomac and the C&O Canal. Its brick exterior and mullioned window walls, designed by Frank Schlesinger Associates and Handel Architects, evoke warehouse and mill architecture. 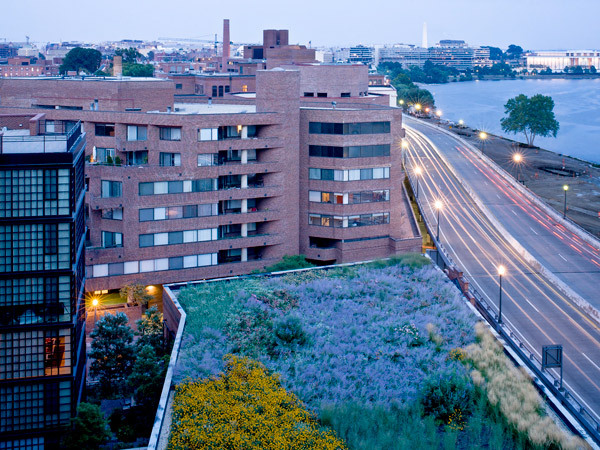 The condominium shares the lot with Pepco’s four-story, electrical substation and the site developers worked with Pepco to replace its gravel roof with a green roof garden. Designed by Oehme, van Sweden & Associates, the garden is partially visible to motorists on the Whitehurst Freeway bordering the site to the south. Condominium units surround and rise above the garden to the north and west. 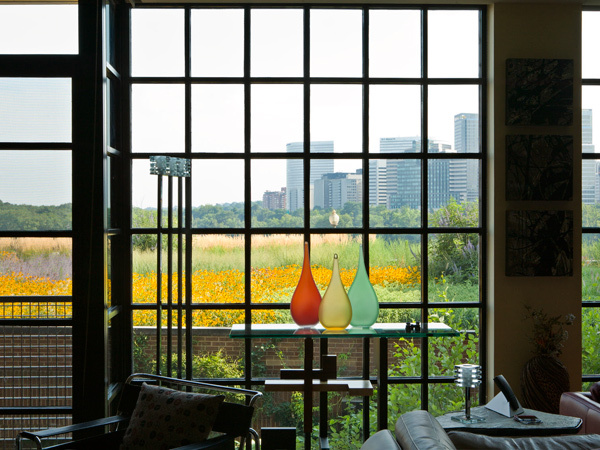 Although residents of these units cannot directly access the roof, the lush plantings frame vistas while screening the freeway from view. Forty-two feet above ground, the drought and wind-tolerant plantings endure harsh conditions. The plant palette shifts in texture and hue throughout the seasons: daffodils blanket the roof in spring; swathes of roses, daylilies, and perennials fill the roof with color in the summer; and ornamental grasses transition from green to gold in fall and winter. 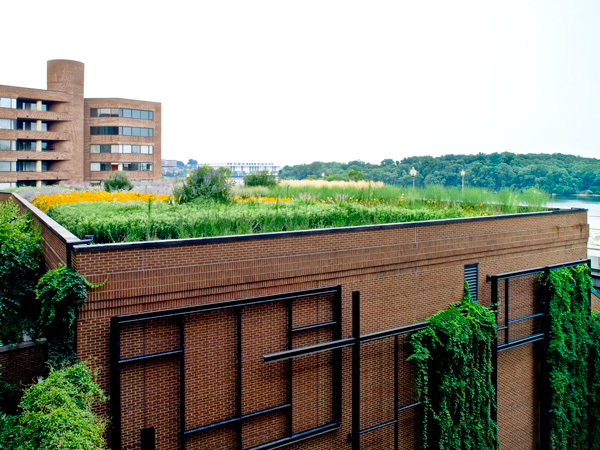 The form is paired with function: the roof slows and absorbs stormwater, moderates internal building temperature, reduces the heat island effect, and supports insects and birds.